Our Field Value Security software monitors the system to prevent the use and display of checkbook IDs on any window and report for any module in the system. 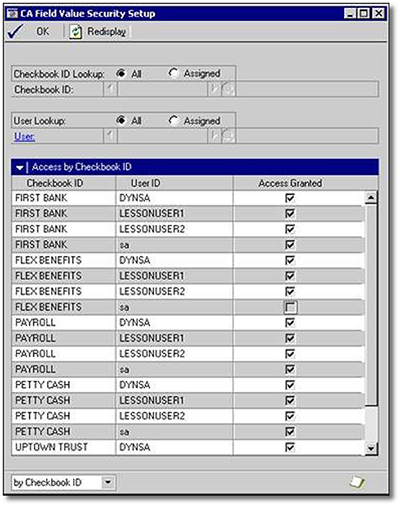 Users will only see those checkbooks to which they have been assigned access. Field Value Security works on a per-user basis, not on a per-class basis, allowing the security model to be as granular as possible.